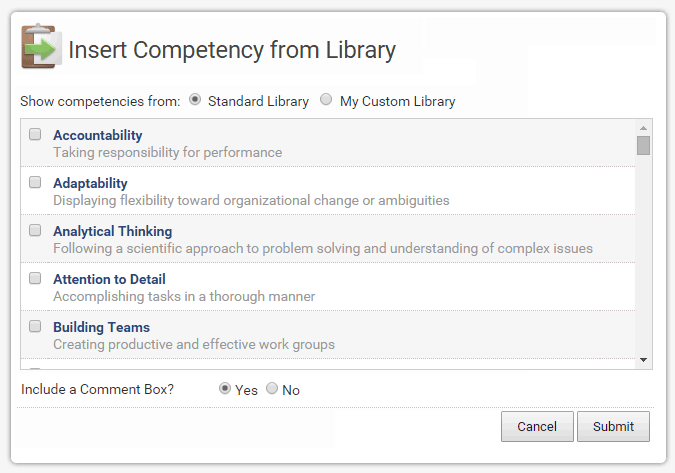 A well-rounded view of employee performance. 360-degree feedback reviews provide employees with professional, anonymous feedback from the people that work closely with them. 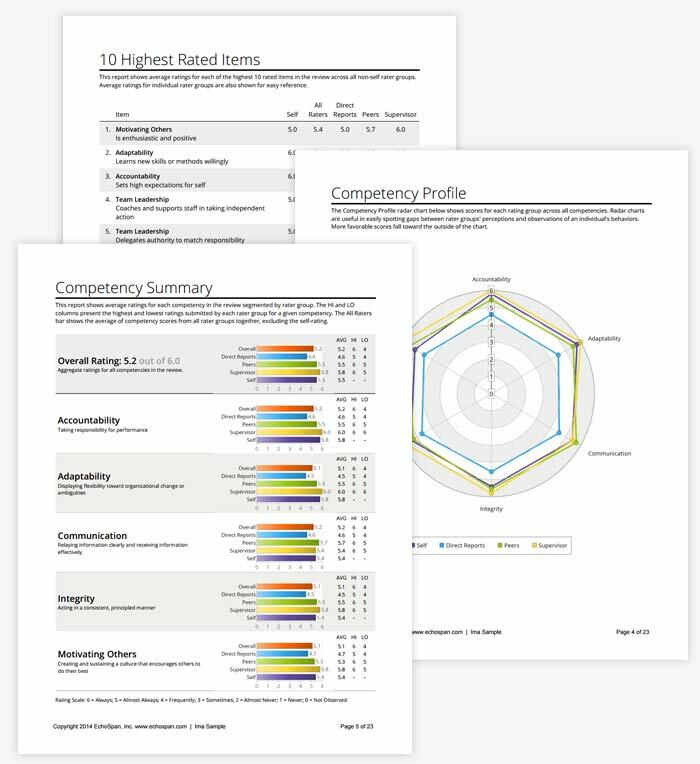 Whereas traditional performance reviews typically only include feedback from managers, 360-degree feedback provides a more well-rounded view of employee behaviors by soliciting the ratings and comments of additional sources. Usually, this includes an employee's manager, peers, and direct reports. 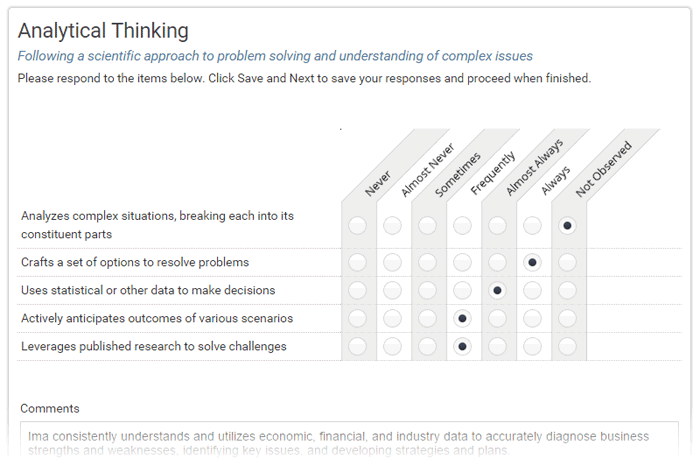 However, increasingly, vendors, clients and other business partners are asked to provide feedback. 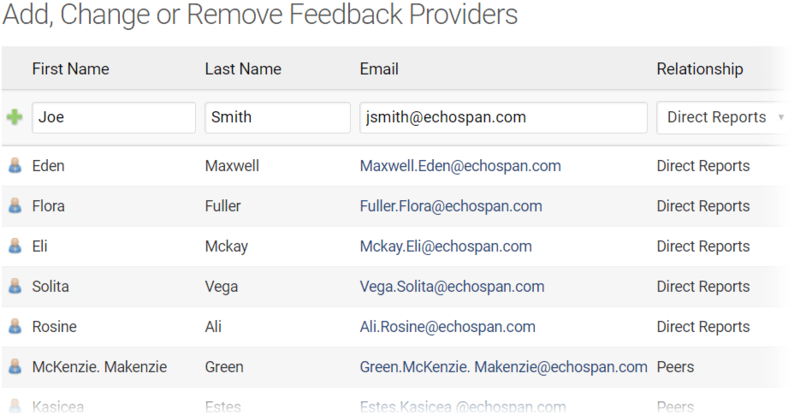 With EchoSpan, you can tailor your feedback process to your company's specific workflow and reporting needs. 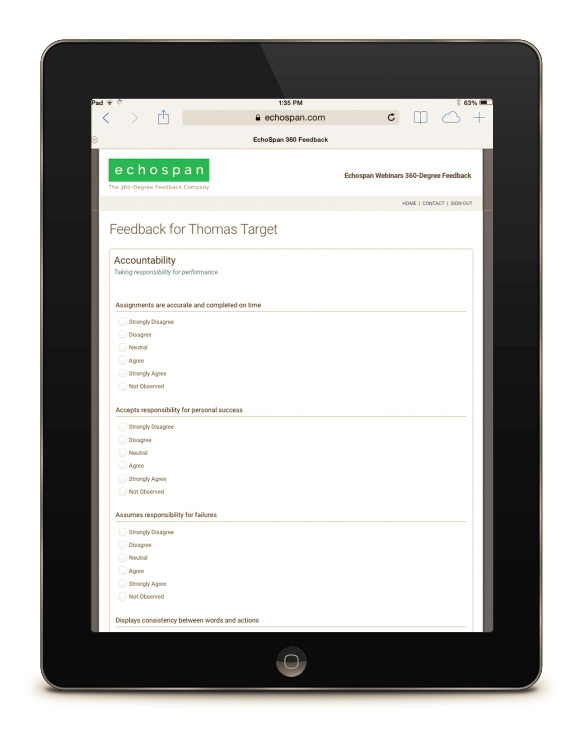 EchoSpan's 360-degree feedback tool works with any competencies, questions and rating scales. Projects are managed by a central administrator at your company, or, by us. 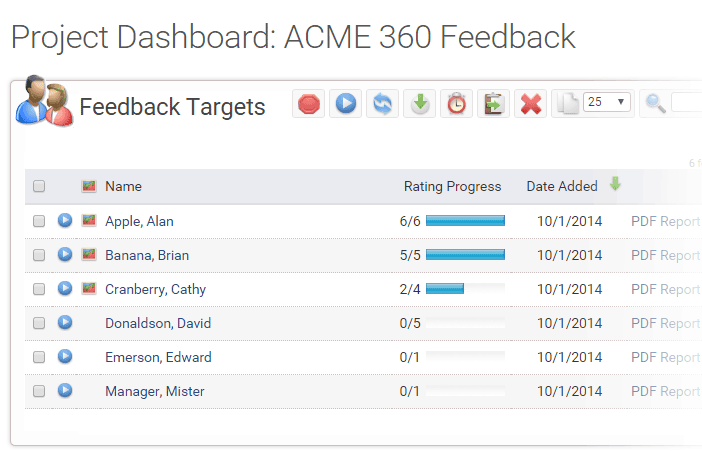 Easily manage 360-degree feedback projects with dozens, hundreds or even thousands of feedback recipients. 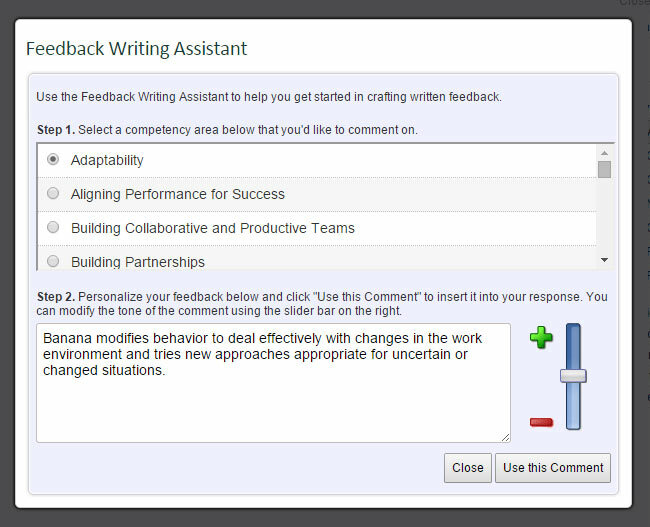 360-degree feedback raters (those that provide feedback) can be selected by administrators or participants themselves. 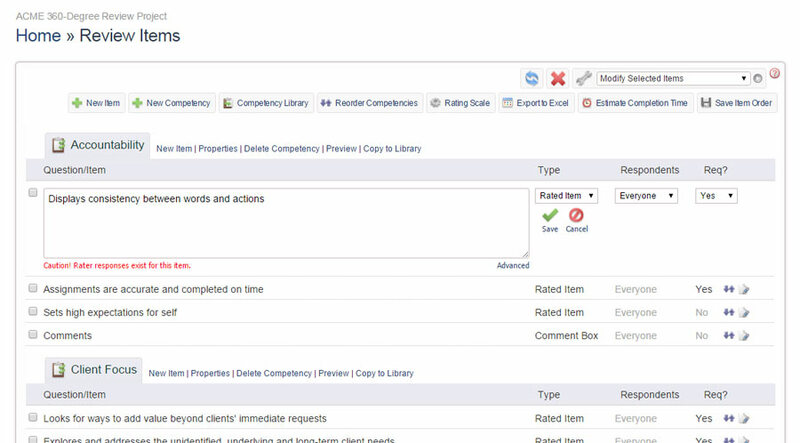 Raters provide responses to their assigned reviews in minutes, online. 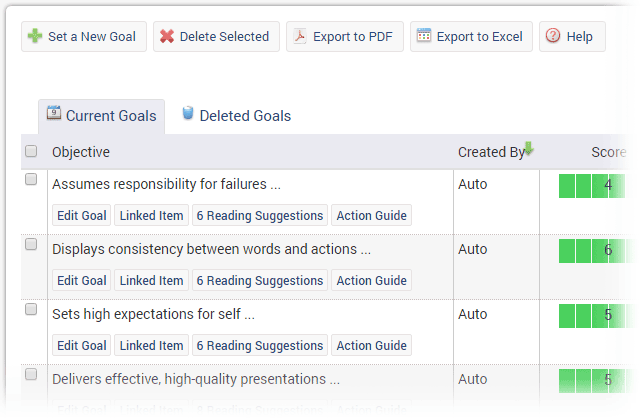 EchoSpan's 360-degree feedback reports are bright, meaningful and easily understood. Following their 360-degree feedback review, your employees can construct and manage development plans online with a PC, tablet or mobile device.